Our First Impressions of Vader Immortal, the New Star Wars Story Told in VR—Plus the Trailer! 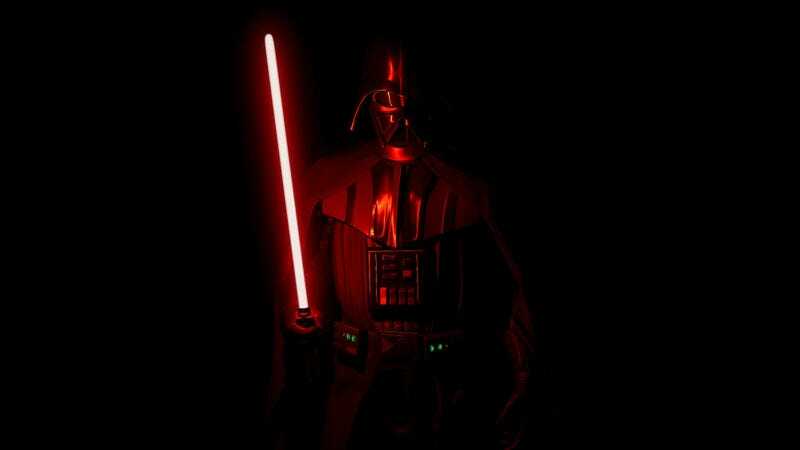 The Dark Lord of the Sith needs your help in Vader Immortal. Darth Vader needs your help. But are you worthy? That’s the set up for Vader Immortal: A Star Wars VR Series—Episode I, a new VR experience developed by ILMxLab for Oculus platforms telling a canon story set between Episodes III and IV. io9 got a chance to demo the product at Star Wars Celebration in Chicago and, let us tell you, being Darth Vader’s helper isn’t easy. Fans at the event will be able to sample a small section of the 45-60 minute overall experience—which in itself is the first of three episodes telling a complete Star Wars story, all in VR. In the Celebration demo, you start as a smuggler who’s captured by the Empire, brought to Mustafar, and told to perform one simple task...or die. You’re handed a small device and asked to open it. The device looks a bit like a holocron, and with a few taps of the Oculus trigger, it’s opened. Darth Vader enters. He has been watching you and is convinced you are the person he’s been looking for: a Force-sensitive person who can help him acquire a mysterious device called the Bright Star. Before that happens, though, you enter a lightsaber dojo where you’re faced with three levels of challenges. The first is basically a ball droid that shoots lasers for you to deflect. The second is a series of droids with lightsabers you need to dispatch. Finally, it’s multiple balls and droids all in tandem, which test all your skills simultaneously. And it’s in this third step that the mostly comfortable experience finally makes you feel like a true Sith Lord. You’ll have to watch your front and your back, blocking lightsaber strikes, deflecting blasters, and dispatching droids, all together. It’s an engaging, fun, and slightly difficult experience, at least on a first go-round. An image of the droids from the dojo lightsaber battle. And though there were only three levels in the demo, once the full game is released, the dojo is an open ended experience. You can sit in that room and just fight with your lightsaber all day long. The lightsaber dojo is where the Celebration demo ends—but in the below trailer, you get a taste of how much more is contained in just the first Vader Immortal, with two more on the way in the future. And while there’s no release date for Episode I, it’s being called a launch title for Oculus Quest, which will be out “Spring 2019,” which is soon. It’ll also be available for Oculus Rift and Rift S.